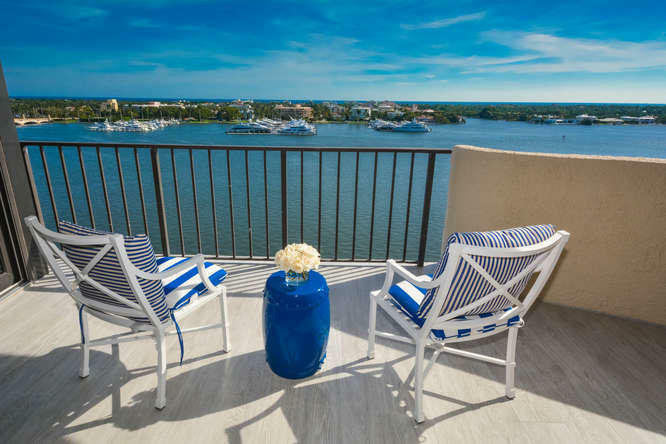 All TRIANON CONDO homes currently listed for sale in West Palm Beach as of 04/21/2019 are shown below. You can change the search criteria at any time by pressing the 'Change Search' button below. "Completely renovated apartment with breathtaking panoramic views of the ocean and intracoastal waterway. 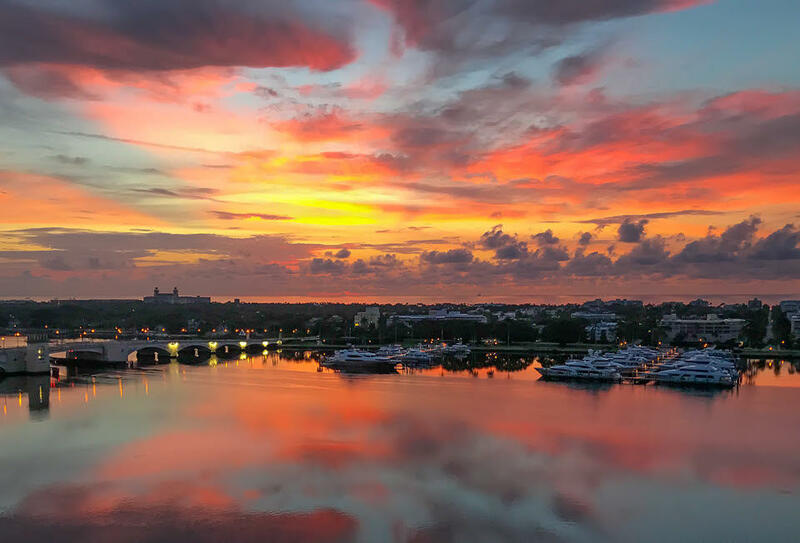 Owner/Agent"
"Just South of the Bristol, With commanding views of Palm Beach the intracoastal and ocean beyond..., this fabulous 16th floor renovated 2 bedroom 2 bath in the coveted ''02'' line is priced to sell ! Features include: Coveted covered parking space, wonderful kitchen with Paris Ceramics flooring, Italian Travertine marble flooring throughout living area, and Jerusalem limestone flooring on the magnificent Terrace overlooking the Yachts on the Palm Beach docks. Building has a generator. Highest quality Titan III Series Plaza windows with 1/4 inch Safety Tempered Glass--rated for 180 mph winds and a negative Wind Pressure Rating of 76.8 PSF (an excellent rating)." "No expense spared in this recently renovated 2 bedroom, 2 bath condo! 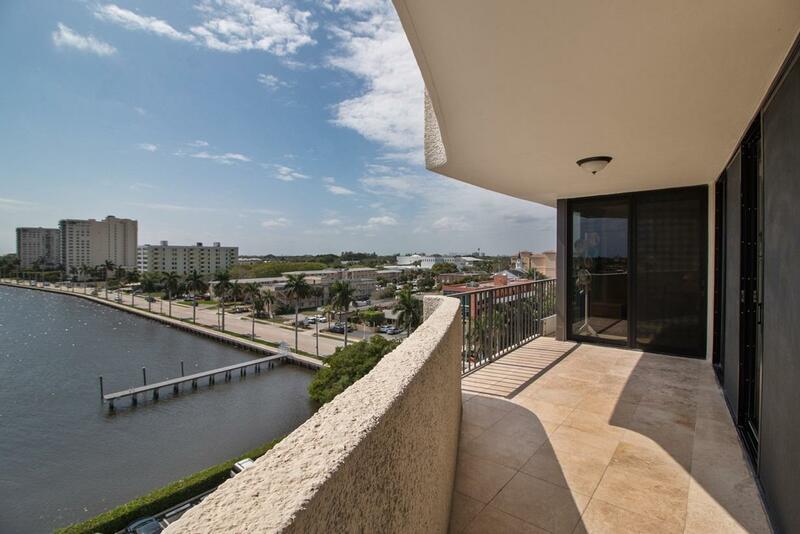 Unobstructed views of the Intracoastal and Palm Beach from every room! Travertine floors throughout, crown molding, hurricane impact doors with 3M UV protection, new Bosch A/C with UV air cleaner, new hot water heater, washer and dryer, solid cherry wood cabinets, California closets, marble baths, Toto self cleaning toilets and more!"